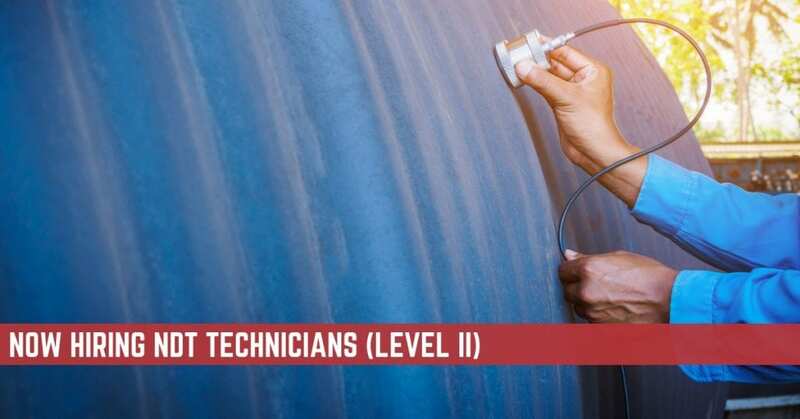 STS Technical Services is hiring NDT Technicians (Level II) in Mesa, Arizona. Performs nondestructive inspection to assure parts, materials and assemblies conform to engineering specifications and quality requirements. Works from engineering specifications and oral/written instructions to plan and perform the more routine inspection techniques such as magnetic particle and penetrant. Evaluates parts and materials to assure conformance to all quality and engineering requirements. Routes rejected parts and assemblies to appropriate department for disposition and repair. Alerts supervision on any noteworthy trends and issues. Effectively communicates and coordinates with supervision, manufacturing personnel, and other company personnel to obtain and/or furnish information. Requires Associate’s degree or equivalent in non-destructive testing. Requires two years’ experience in nondestructive testing. Holds or has held at least one (1) Level II NDI certification. Level 2 technician in magnetic particle and fluorescent penetrant processing.